So far you’ve seen the buffet, the “Compass Rose” restaurant, room service & the Canapés for Butler Suites but there’s still lots of options for dining yet! Next is “Chartreuse”, the French Restaurant onboard “Voyager”… it’s 1 of 2 restaurants onboard where a reservation is needed but it’s still Free. FYI, you need to make your reservation in advance online as soon as your booking allows it to be made (how early you can do so is based on the room type you book… Shawn will let you know your exact date if you make a booking with us) so you can get your preferred time as these places fill up fast. Everyone onboard is guaranteed to eat in the reservations only restaurants 1 time and once onboard a 2nd, 3rd time, etc. is allowed if there’s space. 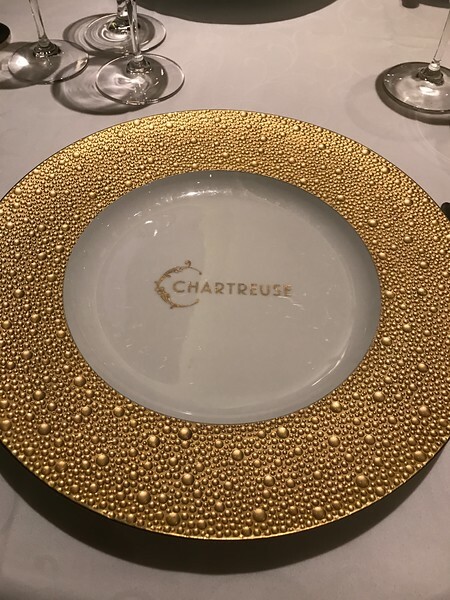 Check out the next bunch of pictures to see how much we enjoyed our meal at “Chartreuse”!